Wikipedia notes: Squirrels’ diets consist primarily of a wide variety of plants, including nuts, seeds, conifer cones, fruits, fungi, and green vegetation. However, some squirrels also consume meat, especially when faced with hunger. 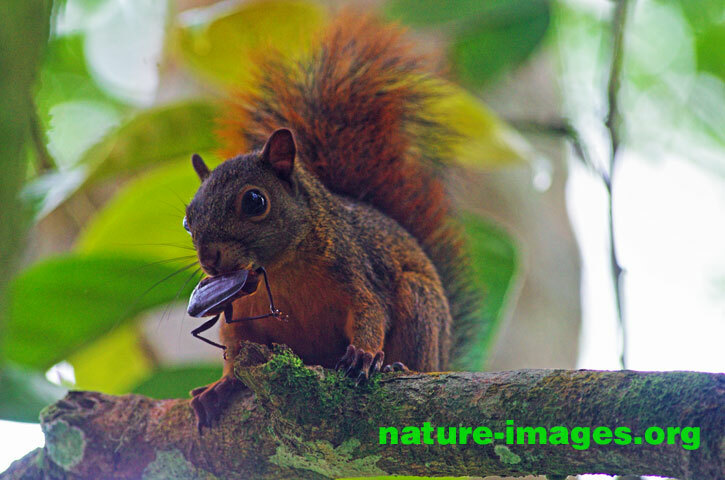 Squirrels have been known to eat insects, eggs, small birds, young snakes, and smaller rodents. Indeed, some tropical species have shifted almost entirely to a diet of insects.